With over 15 years of experience bridging emerging & developed country markets, ES Global has unparalleled understanding of what constitutes good sustainability reporting. 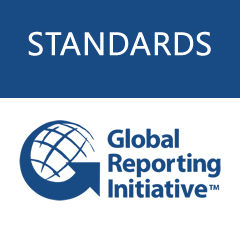 We offer a host of sustainability reporting, training and verification services based on the globally recognized sustainability measurement methodology of the Global Reporting Initiative (GRI). In addition to being a Certified Trainer for the GRI in Hispanic America, ES Global has conducted sustainability evaluations for leading multinational companies and multilateral institutions such as the United Nations, the World Bank and the Inter American Development Bank. ES Global assists companies and organizations establish a sustainability strategy that helps maximize return on investment, enhance corporate value and investment impacts, and enhance CSR activities. We offer a variety of dynamic and innovative workshops and training options that can be adjusted to your needs in preparing sustainability reports. Corporate – 2 day course with certified GRI context with customized content for company and sector. Association – 2 day course with certified GRI content customized for sector interests. Working with us, you will get to know the GRI reporting process and how to use the GRI guidelines in a practical way that will enable you to enhance your report generation as well as the measurement and management of your company’s sustainability.